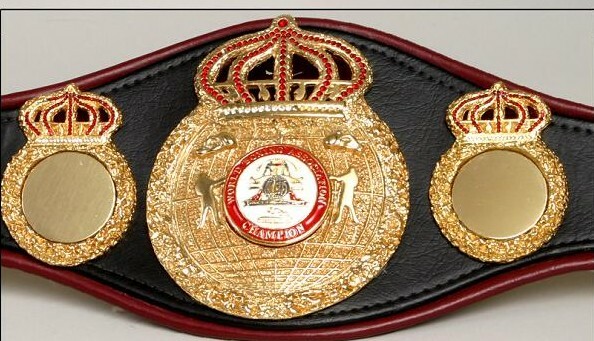 A brief boxing challenge this week as just one fight in the boxing challenge takes place and it's in the World Boxing Super Series as Mairis Briedis defends his WBC cruiserweight title against Mike Perez in Latvia. Briedis won the WBC title in his last bout as he decisioned Marco Huck for the championship that was vacated by Tony Bellew as Bellew moved to heavyweight after his upset win over David Haye. Briedis is the second seed in the WBSS and selected Mike Perez, who is the only fighter in the tournament that I question the selection of, especially over former WBO champion Krzysztof Glowacki. Glowacki is a standby replacement, which the WBSS has available to fight on the undercard in case someone fails to make weight or suffers a last minute injury. Perez was a former heavyweight fringe contender that was best known for his knockout win on HBO over Magomed Abdusalamov that severely injured Abdusalamov to this day. Perez would then go 1-2-1 over his next four fights and seemed almost scarred from the Abdusalamov bout. Perez decided that his comeback would be as a cruiserweight and notched a first round knockout in June vs a non-descript opponent before being selected to participate in the tournament. Briedis is a heavy favorite in the fight that will send the winner to the semi-finals and a meeting with top seed and WBO champion Oleksandr Usyk. A Usyk-Briedis fight would not only unify two titles, it is one of the fights that observers are excited to see occur. The World Boxing Super Series did not have an American television deal but signed one with the Directv based Audience network. The problem is that the fight will be shown there on a tape-delayed basis instead of live (a Big Sky football game instead) so the results will be known before the showing. Of course, I prefer watching on the big screen, but if given the choice between live on the website and delayed on television, I'll take the live option. 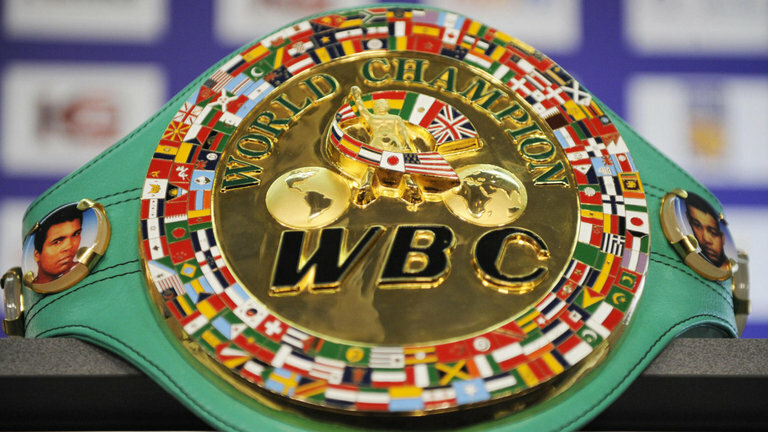 The contract with Audience is only for the remaining two cruiserweight and three super middleweight first round fights, so there still is no television contract signed for the semi-finals and finals in the United States. I have Directv, so this doesn't hurt me as much, but if you don't and the fights aren't streamed live, interest in the tournament may wane. I know how it feels when bouts from Europe are shown on AWE and I don't have that and it's hard to have the same level of interest. I'll attempt to rebound from a bad PPM week with an improved one this week. Welcome the Houston Cougars to the TRS family as well as we'll be picking Cougar games every week from now on as well. That brings favorite teams in seven conferences to the PPM. 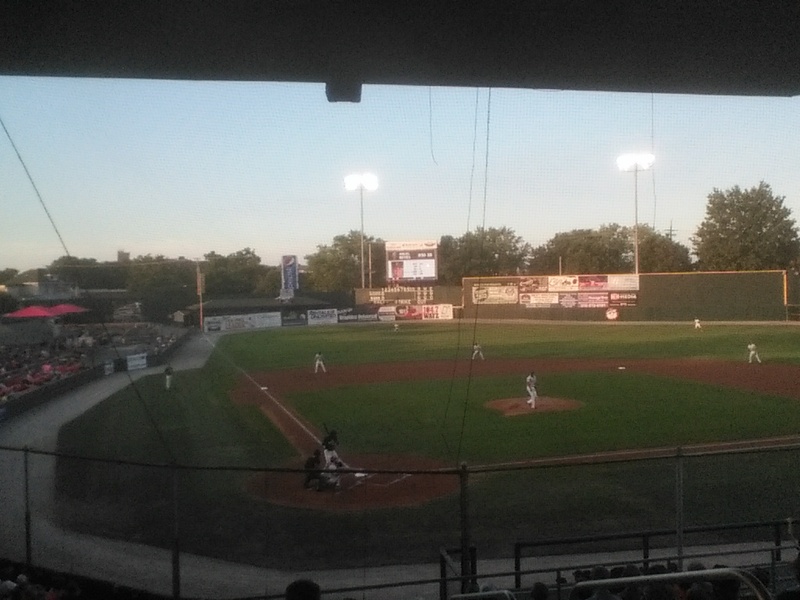 Now that things have died down a little for going to games, I'll take some time to do our annual review of the Hagerstown Suns with what I saw, what I think and where they may be next season. 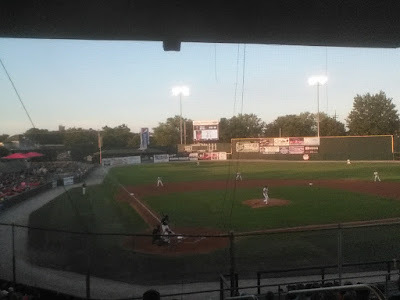 The Suns finished second in the South Atlantic League overall,but the 2017 season will be most remembered by Suns fans for entering Kannapolis North Carolina with a two-game lead over the Intimidators with less than a week to go in the season, only to lose four games in two days and watch Kannapolis win the first half. Next to the Bryce Harper-led collapse when the Suns lost a four-game lead with a week to play, this was the biggest late half swoon in the Suns' history. Hagerstown's hitters were the strength of its ballclub and when I write about the pitchers that will be even clearer, but the Suns do have some interesting prospects that I really liked and will be worth following in the future. The top prospect of all played in just 23 games, but his bat was so impressive that I think he might have the type of bat that changes franchises in 18-year-old Juan Soto. Soto was cruising through the SAL (.360,3 HR 14 RBI) when sliding into home plate, Soto injured his ankle and it essentially finished his season, although he did get a few at-bats in the Gulf Coast League. Soto would have likely been promoted to Potomac in midseason, had he continued at his pace at the plate. Soto's bat ranks with the best I've seen in Hagerstown and I'm extremely high on him to hit for average and power as he rises. He's not perfect, he's not exactly fast and defensively, he's not going to remind anyone of a Gold Glove defender, but what a bat. Two stories on Soto from a member of the Nationals organization that I won't name. I was talking to this person and they asked me "What do you think of Soto"? I responded that I was there the night that he got hurt, but before then I was very impressed. "He's the best young hitter I've ever seen". Really, even better than Harper? How does he compare to Soto? "No comparison, it's not even close, Soto's much better". Highly touted prospects have failed before and they will fail again, but Juan Soto has the potential to have Nats fans, not miss Bryce Harper, should he leave after 2018-he has the potential to be that good. Soto may return to Hagerstown since he played so few games, but it would not surprise me if they challenged him with an assignment to High-A Potomac since he dominated the SAL in his brief stint. 2016 first round shortstop Carter Kieboom also impressed as he fought through injuries that cost him much of the middle of the season. Kieboom's 297/6/26 earned him a spot on the SAL all-star team before the injury and he would have likely been promoted to Potomac without the injury. I can see Kieboom having a chance to develop 20 homer power with a high average and I would bet that he could switch to either second or third if the situation required it. I still wonder about contact at higher levels (40 K's in 179 at-bats), but we'll see how that plays out. Defensively, Kieboom needs some work, but he's not a sieve at short and I think he has a shot at staying there, which often isn't the case for such prospects. Kieboom almost definitely will be assigned to Potomac. Johnson hit .300 in Hagerstown with 17 homers to go with 12 steals in 88 games before a promotion to Potomac saw Johnson produce similar numbers in Woodbridge. The surprise was the increase in power as Johnson had hit just one in 2016 in Auburn, which makes one wonder-was this power an aberration (remember Bryan Meija for one example) that won't be repeated? In any case, Johnson strikes out a bit too much (100 between the two levels) but puts the ball in play to go with good speed and it'll be interesting to see just how highly the Nationals value Johnson. Sheldon Neuse looked like another college bat that would be starting lower than he should when he became a Sun. The second rounder from Oklahoma hit well, but not outstanding in Hagerstown hitting .291 with 9 homers and 51 RBI as he spent time playing both second and third base. Neuse was then traded to the Oakland Athletics in a trade that netted the Nats Sean Doolittle for their bullpen and with Oakland assigning him to their High-A affiliate in Stockton caught fire. Neuse hit .386 with seven homers in only 22 games in Stockton before being promoted to AA Midland (and joined another former Sun Max Schrock) and smacked out a .373 average in 18 games there. Neuse is being played at third base full-time in the A's system and profiles best there. Neuse's glove is a question mark, but I think at worst he profiles having a chance to be a bat-first utility player. Neuse is likely to start at AA Midland in 2018, but since Oakland clearly has him on the fast track, has a small chance of beginning with AAA Nashville. Tres Barrera is an interesting catcher with intriguing numbers. The Nationals have usually made some head-scratching decisions with their catchers as far as playing time goes and this season was no exception with Barrera hitting .278 with 8 homers in 67 games as the Suns used five different catchers. Of the five, I liked Barrera the best (liked the 18 doubles) and although he was a little old for the level (23), I'll be interested in seeing his 2018. Considering his age, I'd figure he'd start in Potomac, but don't rule out a Hagerstown return. The Nationals like to have catchers that were the backup (Barrera played the most games, but when Jakson Reetz was around, Reetz played more) in Hagerstown return as the starter the following year. Jakson Reetz returned for a second year in Hagerstown and received most of the playing time after he arrived in early May. Unfortunately, Reetz's stat line didn't improve any from 2016 and his numbers in Hagerstown in 37 games (.238/2/11) were almost identical to his numbers after a surprising (by the numbers) callup to High-A (.236/2/11) that was forced by injuries that trickled down through the system. Reetz turns 22 in January, but at this point has to be considered a disappointment after a large bonus out of high school as a third rounder in 2014. Reetz will be back with Potomac for 2018. Telmito Agustin was a player that I liked last season with the Suns after an interesting half season in 2016 and he improved on those numbers in 2017 (.277/9/37) in his return. Agustin's return came after a slow start to the season in 33 games with Potomac, so the rebound was something to watch how Agustin handled adversity. I like Agustin's tools a lot, but there are questions to be answered- contact (74 K's in 80 games), speed (he has plus speed, but stole just nine bases) and a slight build that might be an issue in staying healthy. Even so, he played the season at 20 and I still consider him a prospect to keep tabs on. Jake Noll hit 16 homers in his 400 at-bats and led the team in RBI with 67 before an August promotion to Potomac. Noll was solid, but not outstanding and again as a college product (Florida Gulf Coast) was old for the level (23) before struggling in his Potomac cameo. Noll might wind up being an AA hired gun in the long term, but in the short term will return to Potomac where again, he's a little old for the level, but will provide some power for the P-Nats. Venezuelan first baseman Aldrem Corredor made the SAL all-star team with a strong first two months (.308) but fell off dramatically thereafter finishing at .261 with just one homer (of five) after June. Between that drop in production and striking out over 100 times, there are red flags for Corredor as I wonder which player is actually Corredor. Former second-rounder Blake Perkins had some encouraging notes in Hagerstown in 2017. Perkins improved his average 22 points over his average at Auburn in 2016, showed increased power with eight homers, stole 31 bases and covers a ton of ground in the outfield. Perkins looks the part athletically and boosted his numbers, so what's not to like? A team-high 118 strikeouts and the boosted average still resided at a pedestrian .255, so despite the tools, Perkins has some ground to make up,but he played the season at 20, so if he can make a similar jump in production next season and get a better grasp of the strike zone (as in what he swings at), Perkins still has a chance. I think he'll move to Potomac, but I'd consider trying to boost his confidence with a Hagerstown return and hopefully in a month, he'll be ready for High-A. Nick Banks was a little disappointing with a .252/7/58 on the season, which was decent, but with a pedigree from Texas A&M, I expected a little more. Banks reminded me a little of a less dynamic Andrew Stevenson and might be one of those guys that hit better as he rises through the system. Banks will be at High-A Potomac in 2018. Anderson Franco struggled much of the season, but was young for the level (turned 20 in August) and showed power with 11 homers. The rangy 6'3 third baseman struggled to stay above the Mendoza line before finishing at .201 in his first full season of baseball. Franco had issues with the glove (24 errors) and contact with the bat (100 whiffs), but consider the age factor and initial season in non-complex ball (only 11 games in Auburn in 2016) before giving up on the power with the 11 homers and 23 doubles. The remainder of the position players either I don't list as prospects due to struggles or small sample size. Three catchers each saw limited action. Jorge Tillero returned for ten games and 38 at-bats in which he hit .421 and was rewarded with a move to the restricted list after Jakson Reetz returned from injury. 26-year-old Adderling Ruiz is simply a backup mitt and when he played, it showed as one game it seemed like the backstop wore a glove rather than Ruiz. Matt Reistetter caught eleven games after being dropped from Potomac when Barrera and Reetz were out of the lineup. The bad? Reistetter had only three other hits. He might stick around if one of the teams needs a backup mitt, but at 25 has become an organizational soldier. 21-year-old outfielder Oliver Ortiz (that's four words in a row that started with O) hit well in Auburn, but couldn't top the Mendoza line in Hagerstown hitting .199 in 41 games. Branden Boggetto hit over .300 in Auburn and came to Hagerstown for the final 15 games of the season. Small sample size, so hard to grade his .231 average. Angelo LaBruna hit a David Masters like .218 with no punch (0 homers in 248 at-bats), but can play all four infield spots in a pinch, always hustles and is one of those "locker room guys". I can see LaBruna in Potomac (they did move David Masters there as a similar player), back in Hagerstown or even start in the real world to make money if Angelo wishes. 2016 college draftees Tyler Beckwith (.218, 2 homers with the Suns in 30 games) and Paul Panaccione ( .202, 2 homers in 33 Hagerstown games) are cut from the same mold- light hitting can play multiple positions and scrappy play that fans like. If one or the other has an edge to stick around, it might be Beckwith, a local product from Mt.Airy MD. Hope you enjoyed the look at the Suns position players and gave you food for thought. Back to the still overflowing inbox that has more non-sports content than sports, so I'll get the sports items out of there now and try to continue soon with the rest! Sorry to hear of the passing of former Denver Broncos and Denver Gold head coach Red Miller at the age of 89. 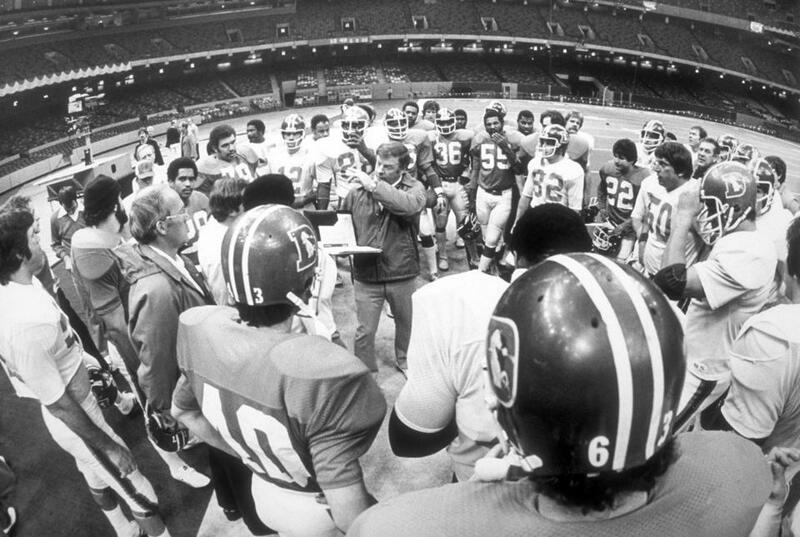 Miller, who brought the Broncos to their first Super Bowl in the 1977 season, coached the Broncos to the playoffs in the first three seasons that he coached and his final year saw him go 8-8 before being fired. I never understood why Miller got fired even then (I've noted I was a Denver fan as a kid) for the sin of going .500 one season and I've never been able to figure out with a record of 40-22 that Miller was never given another chance in the league. Miller coached the Denver Gold in the first season of the league but didn't make through the season. The San Jose Mercury-News and Daniel Brown has a great article on the search for the suddenly absent Tim Lincecum. The former Giant ace, who struggled through a comeback attempt in 2016 with the Angels hasn't been in the public spotlight since. Brown's travels took him to Lincecum's high school, college (University of Washington) and travels while writing about the pitcher's career. Another Giants pitching star of the same age that has seen his struggles over the last few season announced his retirement today as Matt Cain will make his final start in the game with his Saturday start against the Padres in San Francisco. Cain, who turns 33 on Monday, has struggled over the last few seasons and was just 3-11 with a 5.66 ERA in 2016. The former Hagerstown Sun walks away with a career record of 104-118 and as the only Giant to ever pitch a perfect game- vs the Astros in 2012. The attention in college football might be mostly going towards Sam Darnold of USC, Josh Rosen of UCLA and Penn State's Saquon Barkley, but the best player in college football just might not even play for a Power Five conference as the American Athletic Conference's Houston Cougars possesses a defensive lineman that makes plays that you just don't see every day or even year in Ed Oliver. I've seen Oliver triple-teamed at times and during the Cougars game vs Texas Tech last week, saw ten men off the line of scrimmage and only rushed Oliver, who still managed to pressure the Red Raider quarterback and that's a semi-official pressure, not just a somewhere near the passer. ESPN writes about Oliver, how the Cougars landed him and his commitment to the city of Houston. On and off the field, Ed Oliver is going to be a fortunate addition to some city and franchise in the NFL soon. I'll wrap up with the Pittsburgh Post-Gazette's article on the DuraEdge playing surface or specially blended dirt and its base in Slippery Rock, Pennsylvania. DuraEdge is used by 21 major league teams as their infield surface and founder Grant McKnight says it saves many games each year with its terrific drainage system. The Chicago Bulls bought out the contract of veteran guard Dwyane Wade and will clear (more than likely) waivers later today to become a free agent. That made Wade a more than desired piece in the arms race to keep up with the Golden State Warriors and several teams inquired about the possibility of bringing Wade to their organization. And the winner of the battle for Wade? 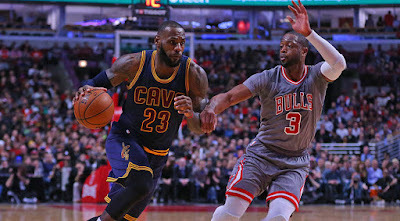 It appears to be the Cleveland Cavaliers, who suddenly seem to be possibly improved over last year's team, albeit considerably older with the addition of the soon to be 36 year old Wade, who spent last season in Chicago after spending his entire career to that point with the Miami Heat. 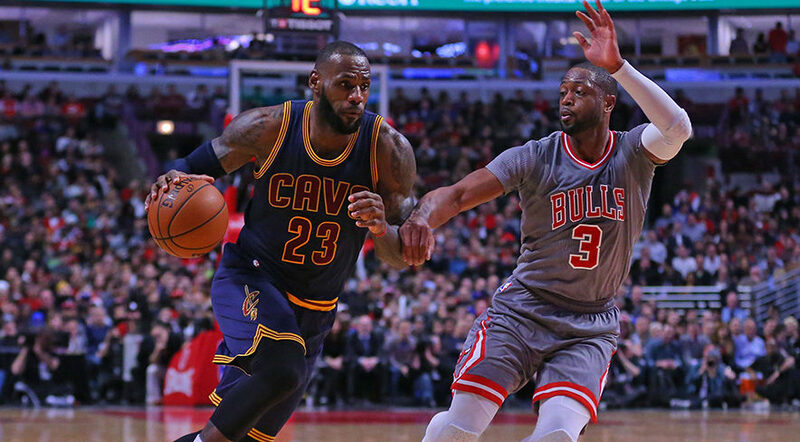 Wade averaged eighteen points a game last year as a Bull and equaled his career high from three-point range as he shot 31 percent in his sixty games. The Bulls paid Wade sixteen of his just under twenty-four million contract for this season as they came to an agreement for the buyout after Wade's only season in a homecoming to the Windy City. Wade was reported to have been approached by the Thunder, Spurs, and Heat, but preferred to join LeBron James in Cleveland. Wade will be playing for the veteran's minimum in Cleveland of 2.3 million, which helps the Cavaliers constant battle with the salary cap and tax threshold and might enable them to have a little flexibility around the trade deadline as well. Even still, Cleveland will have to make some space on the salary cap for Wade to fit and unless a minor trade is made, someone with a veteran salary. Richard Jefferson makes some sense if he's not sold on playing anywhere but Cleveland. Let's be fair, as good as Dwyane Wade still is and even at 36, I still think there is tread on the tires as long as he is used with discretion, but Wade still has battled injuries over the last few years and considering that this is a team with Derrick Rose and the injured Isaiah Thomas, potential time missed is something that cannot be understated. Wade's never been an outstanding shooter from the outside and shot a career-low 43 percent last season with the Bulls, so there are concerns that Wade, as a player that relies on getting to the basket, could be stymied a bit on a team that doesn't start a terrific outside shooter. Wade might best fit once the Cavaliers return Thomas as the ballhandler on the second unit with Rose as the main offensive star off the bench, but could also push J.R.Smith to the bench and allow Smith to slot as the sixth man offensive specialist. Wade could be used in several different ways and matchups, so the veteran really does add a player with a Swiss Army Knife-like toolkit to the team with his versatility. We have so much piled up in the inbox that we have enough to do a sports version, a non-sports post and still have plenty remaining, so I decided to devote a post on a few notable passings. 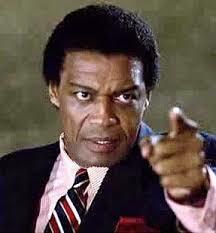 Goodbye to Bernie Casey at the age of 78. Casey had quite an eclectic life in being an athlete, actor, painter, author, and poet. Casey ran in the 1960 Olympic Trials and reached the finals as a high hurdler and starred as a football player at Bowling Green before going on to the NFL for a seven-year career with the Rams and 49ers, making the Pro Bowl in 1967. Casey would have a long acting career after leaving pro football with too many roles to name, but two of note that I remember well personally was his role as "Cal Hudson" the Maqui rebel in "Deep Space Nine" and of course "UN Jefferson" in "Revenge of the Nerds". There have been quite a few times in my life that I've turned to Ryan and said "Hold it, Coach! Hold it right there"! Another loss that happened a little while back when I was on a trip was the loss of longtime first baseman Lee May at the age of 74. "The Big Bopper" slammed 354 homers from 1965 to 1982 and starred for the Reds, Astros, and Orioles before mopping up with the Royals off the bench. May hit over twenty homers every season from 1968-78 (and hit 19 in 1979) and was the lone bright spot for the Reds in their five-game 1970 World Series loss. 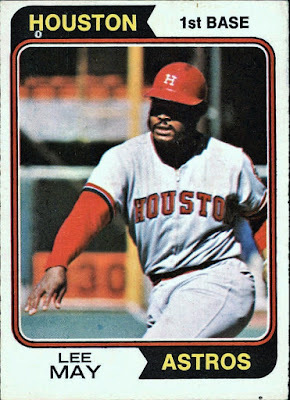 May always seemed to have his timing just off with his career as first, it was May that was traded to the Astros as the main piece of the famous trade that brought Joe Morgan to Cincinnati. Think about this-would the Big Red Machine been that much different with Lee May at first rather than Tony Perez? May was actually the biggest name in that trade when it was made before the 1972 season, which is why the Reds wound up getting a better second baseman in the deal (Morgan over Tommy Helms) ,their starting center fielder (Cesar Geronimo), a solid member of their rotation (Jack Billingham) and two helpful bench bats (Ed Armbrister and Denis Menke) for May,Helms and Jimmy (Not Mr.Smith) Stewart. My personal memory of Lee May was with his tenure with the Orioles when I watched so many Oriole games with my grandfather. Pap always would be very frustrated by players that struck out a lot and Lee May was one of those players despite his power. Pap never liked players that didn't put the ball in play (You might remember I mentioned this before with former Oriole Earl Williams) and Lee May's swing was easy to imitate along with having holes for pitchers to hit-especially as May aged and gained weight. One of my best memories of Pap is watching him squat down and doing the Lee May batting stance. A loss that happened even longer ago than that of Lee May, goes back to April as former Texas Tech football coach Spike Dykes passed away at the age of 79 from a heart attack. I found out about his death as I watched the Red Raiders win over Houston on Saturday. Spike Dykes took over at Texas Tech on the eve of the 1986 Independence Bowl (Or the VCR Bowl as written about here) when David McWilliams, who had turned Tech around in his one season in Lubbock, jumped ship before the bowl to take the job at conference rival Texas. Spike would win a then-school record 82 games and become the first coach to lead Tech to seven bowl games in a row. Spike's Tech teams were at the height of my fandom as his teams ran the ball a lot and had great college backs such as James Gray and future NFL runners Bam Morris and Byron Hanspard. Tech was always the forgotten stepchild in the old SWC behind Texas and Texas A&M, yet Spike was able not just be competitive, but able to defeat them as he defeated Texas six times in his tenure and in 1994 ended A&M's all-time record SWC winning streak with a 14-7 win that was decided by a pick-six score by future Pro Bowl linebacker Zack Thomas.. Many of you might be surprised how little coverage I give to the passing of former middleweight champion Jake LaMotta at the age of 95. LaMotta might be remembered more for the 1980 film Raging Bull currently than for his career in the ring. LaMotta had arguably the best chin ever (knocked down once in 106 fights), won the middleweight title from Marcel Cerdan and was the first fighter ever to defeat Sugar Ray Robinson. So why not more notes on LaMotta? I give credit for his career, but I don't spend time on guys that take dives-no matter the reason. Former heavyweight contender David Bey passed at the age of 60 when he died from injuries from being hit by a metal sheet pile at a construction site he was working at as a piledriver. Bey, who challenged Larry Holmes for the heavyweight championship in 1985, was undefeated in 14 fights entering the Holmes fight and coming off a huge upset win over the number one contender at the time in Greg Page. Holmes stopped Bey, who was nowhere near ready for an all-time great such as Holmes, in the eleventh round and the loss ruined Bey's career as Bey would go 4-10-1 in his post-Holmes career. We wrap with a goodbye to former NBA/ABA star Jim McDaniels at the age of 69. McDaniels was the star of a Final Four team for Western Kentucky in 1971, that was eventually vacated by the Hilltoppers as McDaniels was ruled by the NCAA to have signed with an agent and was therefore ineligible. I know those were the days of the 32 team tournament, but for a team from Ohio Valley Conference play to make the Final Four (WKU finished third as they defeated Kansas in the days when the Final Four losers played a consolation game) is phenomenal no matter the era. McDaniels signed with the ABA Carolina Cougars and averaged 26 points and 14 boards in 58 rookie games in Carolina before foolishly jumping to Seattle in the NBA, where his game would dip dramatically and was never the same player. McDaniels would never average double-digit points in the remaining five years of his career after the jump, playing for Seattle, Los Angeles and Buffalo in the NBA and the Kentucky Colonels in the ABA before playing the remainder of his career in Europe. 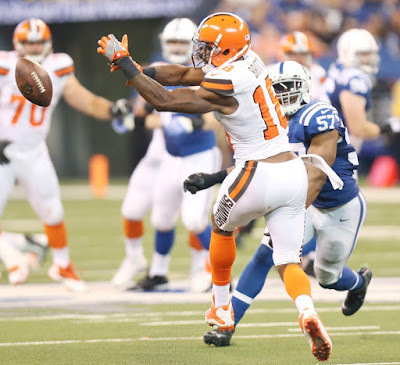 The Cleveland Browns were a road favorite (1 point) for the first time in what seemed like forever against the Indianapolis Colts, but they were unable to live up to the "hype" as the Colts built a 28-7 lead in the first half and held on for a 31-28 win. DeShone Kizer threw for two scores and ran for another, but Kizer was intercepted three times in the defeat. The now 0-3 Browns return home for next week's games against the 0-3 Bengals, who took the Packers to overtime before losing on Sunday. 1) Number one above all the wide receivers either lack concentration or just aren't very good. Kenny Britt made an excellent catch for a score ( one that might have been overruled, if the Colts had challenged), but had a drop and after three games-Britt seems to have very little chemistry with DeShone Kizer. 4) The secondary was just terrible. T.Y.Hilton lit up Jamar Taylor in the first half for over 140 yards and a touchdown that Taylor seemed to give up on. I like Taylor, but he's better suited to be the second corner than a number one cover player, which makes the decision to waive Joe Haden even more curious. 5) I know this will sound worse than I intend it and three games worth of data are far too early to grade, but Jabrill Peppers was terrible today. Peppers took an awful angle on the Hilton touchdown and allowed Hilton to cruise by him, when he should be offering help to Taylor, was called for another pass interference call on Hilton (he was beaten badly again when he should be giving back support to the corners, was missing tackles and has been a complete non-factor on returns, notably late in the game when he actually did have a punt that he could have returned (Being fair, punters are punting away from him to avoid returns) to try to make something happen and called a fair catch. Maybe it's the skeptic in me, but watching this game, Peppers almost seemed petulant with his body language and might be having the reality of Browns football sink in. 6) Peppers was drafted as a "playmaker" with great "ball skills", but assuming he has those skills, those are being ruined 30 yards off the ball! Gregg Williams says Peppers is back to provide support for the deep ball and being the last line of defense, but Peppers game against Indianapolis really makes me wonder just what the idea behind this is. If the player is struggling to play in that role, as Peppers did against the Colts, What's the good in continuing this?? 7) DeShone Kizer did some nice things and some bad things as young quarterbacks will do. I can live with that this year, but the thing that I want to see progress in is getting rid of the football. The faster Kizer does that, the less stress on an offensive line, that seems to be somewhat overrated from preseason projections at worst and needs time to jell at best. 8) Duke Johnson had a nice game with seven catches and a score. Johnson is the one player that the Browns can rely on and Hue Jackson might want to have some old Rams films on hand. Exactly what bad teams do-pile mistakes up and put themselves in difficult situations for their talent to overcome. 10) Myles Garrett did some pregame drills on the field, so I'm going to guess that the number one draft pick will make his debut next week against the Bengals. I'm looking forward to seeing how that affects a defense that struggled so badly in the first half against Jacoby Brissett, who had the same amount of career starts as DeShone Kizer. 11) The next two weeks are the Browns best chance to win in a while, but the Bengals pushed Green Bay to overtime on the road and the Jets defeated Miami when they are supposedly in lose out mode. Three different fights of equal significance on this Saturday from Texas, California and Manchester England with all of them with different results. Let's start in San Antonio, Texas at the Alamodome for a World Boxing Super Series quarterfinal in their cruiserweight tournament with minor titleholder Yunier Dorticos defending his belt with a vicious second round knockout of Dmitry Kudryashov, that saw the Russian native on the floor with his eyes rolling in his head after eating a booming right hand. This bout looked to be the most interesting first round cruiserweight final and for the round and a half that it lasted-it was as both fighters landed their fair share of crunching punches. In the end, it was the more versatile Dorticos that was able to close the show. Dorticos moves in the tournament to the semi-finals against the winner of IBF champion Murat Gassiev against Krzysztof Wlodarczyk in Newark, New Jersey next month. Two questions that I'm going to answer-one has been asked to me and one that I'm asking rhetorically. The first is why don't I recognize Dorticos as WBA champion? It's because, despite Denis Lebedev's loss to the aforementioned Gassiev last year, the WBA still recognizes Lebedev as their "super" champion and in divisions that the WBA has 2 or even 3 champions, I only recognize that champion as the WBA champion. The better question is why did the WBSS put a fight between a Cuban and a Russian without a local hook in San Antonio, Texas and expect it to draw? I don't know what the attendance numbers, but I wonder why this match was selected for this location? Another issue is the WBSS stream on their website, which so many have complained about as being so fuzzy. I believe I have the solution-the pomp and circumstance that the WBSS attempts to add to their events includes a dazzling light show that uses a ring of lights that surrounds the ring in a form that resembles the Roman Colosseum. It adds an attractiveness to the show and I like it-Until the fight begins. They don't turn off those lights and it just plays havoc with the picture (and pixels) and you get a less than desirable picture on your PC. In Inglewood, California, WBA lightweight champion Jorge Linares retained his championship with a split decision win over Britain's former Olympic gold medalist Luke Campbell. Linares scored a knockdown in the second round that also cut Campbell and that knockdown allowed Linares the win as had he not scored that knockdown the fight would have been a draw on a card that Linares won on by one point. Linares looked so impressive in the first three rounds that I was talking to Fred and said I expected Linares to finish Campbell in the middle rounds. 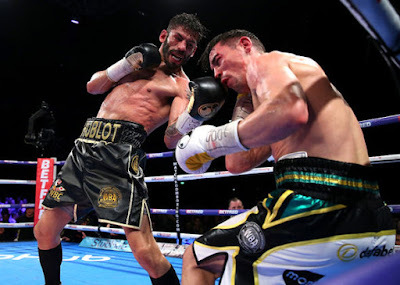 However, I was wrong as Campbell began to battle back by not allowing Linares to move inside on the rangy Briton and beginning to trouble Linares on the scorecards as well. Linares put things back together in winning the final two rounds to win on my card 115-112 (7-5 in rounds minus a point for Campbell on the knockdown). I thought I'd see better work from Linares, but it could have been the style of Campbell that made Linares more hesitant than usual. I'll wait until his next start before proclaiming Linares in decline, but that fight will be one that might help determine just that. In the first fight of the day, New Zealand's Joseph Parker kept his WBO heavyweight belt with a tedious majority decision over a less than combative Hughie Fury of England. Parker, who has put together three less than impressive albeit victorious efforts in winning his title and defending it twice, did at least come forward and try to engage, which is more than I could say for Fury, who did little except move, grab and jab with an occasional right hand in a less than meritorious performance. The fight was awkward and hard to judge as neither fighter did much offensively, but Parker did enough to win a contest that won't be fondly remembered by almost anyone. I scored Parker a 117-111 winner (9-3). I'm not sure what Parker has next as Fury was his mandatory defense, so he now has time for an optional defense or pursue Anthony Joshua or the Deontay Wilder-Luis Ortiz winner. The WBO ratings are a real mess.Fury at number one has been disposed of,number two contender Christian Hammer has one notable victory in the last four years (a KO over soft jawed former Olympic bronze medalist David Price),third-rated Kubrat Pulev is fighting Joshua, fourth-ranked Tom Schwartz is undefeated, but against a resume' that makes Hammer's look like the opponents of Larry Holmes and number five contender Dominic Breazeale is fighting Bermane Stiverne in a WBC eliminator. In the boxing challenge, Ramon Malpica and I each scored four points on the day-two from the KO win by Yunier Dorticos and one each from the wins by Jorge Linares and Joseph Parker. I lead the challenge 134-122. 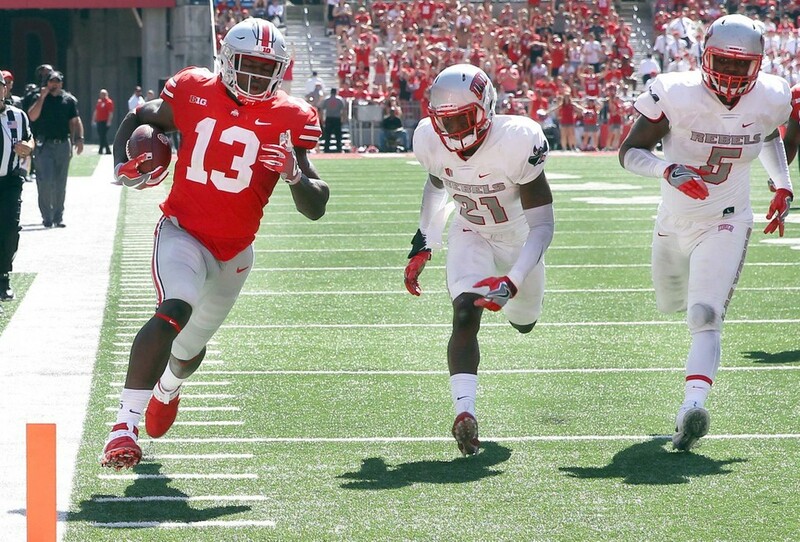 Ohio State was expected to roll over the visiting Rebels of UNLV and they did so in a 54-21 win that wasn't nearly as close as it looks-which isn't very close at all. J.T.Barrett threw five touchdowns in less than a half of football to lead the Buckeyes to their victory. Seven different Buckeyes caught touchdown passes for a Big 10 record (Five from Barrett and two from Dwayne Haskins) in the victory. 1) These types of games are the hardest games to write about. Lots of scoring against an outmatched opponent can make it difficult to watch the game as closely as in a normal game. 2) J.T. Barrett rolled up his numbers, but Urban Meyer did the right thing in taking him out in the second quarter. It limited the injury risk for the starter, but it gave plenty of time to take a look with Dwayne Haskins running the offense, which is good for now and later. 3) Liked what I saw from Dwayne Haskins. Big arm, great size and like Cardale Jones is far faster than he looks as he looks like he is gliding and runs away from people. His pick six was a ball that he locked onto a receiver and should have never thrown, but that comes with experience. Points to the staff for playing him so much and even more for allowing him to actually run the offense! Usually, in mop-up time, all the reserve quarterback does is hand the football off.,which doesn't help you learn very much. 4) The spreading around of the football to the seven different players that scored touchdowns was a good thing with no player other than C.J Saunders (Six catches) catching more than three balls. It could be a good thing as several players get involved in the offense and playing time, but I really would like to see someone step up as a reliable starter that can be counted on. There are a few that really intrigues me, but no one has proven themselves yet..
5) The starting defense allowed a touchdown in the first half and the backups allowed a long touchdown run by Lexington Thomas (with a name like that why didn't the Kentucky Wildcats recruit him? ), but other than that, the defense was fine against an opponent that they should have dominated and did so. 6) However, the secondary continued with multiple pass interference penalties and I'm concerned how that is going to improve against better teams. Those better teams won't arrive for a month as Rutgers, Maryland (I wondered a little about them until they were trounced today by Central Florida) and Nebraska (2-2) come before a bye week and then Penn State. 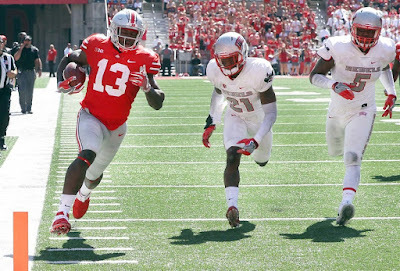 7) If you bet on the Buckeyes to cover the 40 point spread on the betting line, you lost mainly because Parris Campbell and Rashod Berry each fumbled inside the Rebel two-yard line. So close and so far away. No such thing as a sure thing-other than Mayweather-McGregor that is! 8) A non-Buckeye note to wrap on. The Big 10 East has to be wondering just how good they are. Ohio State lost in their only test, Penn State won over an outgunned Iowa on the last play of the game, Michigan was in a dogfight with Purdue until the 4th quarter and Michigan State and Maryland each was blown out. Top Rank put the type of action card that boxing fans hoped would be happening on ESPN when they agreed to work together with two entertaining title fights that ended with both WBO champions retaining their titles. 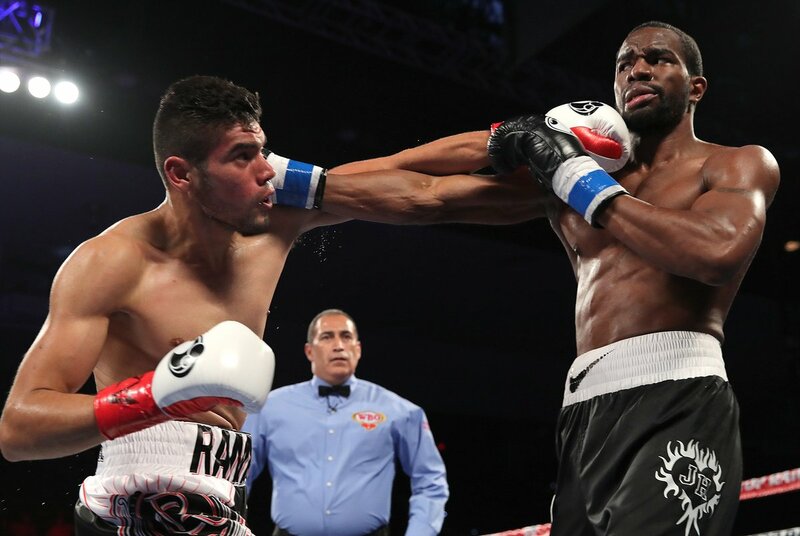 Ramon Malpica gained two points to my none as Gilberto Ramirez (TRS # 2) retained his super middleweight belt with a unanimous decision over Jesse Hart. My card had Ramirez winning 116-111 as the champion knocked Hart down in the second round and severely hurt him to the point that Hart barely survived the round. Ramirez wobbled Hart again in the third and won most of the middle rounds with a strong body attack. I gave Hart three of the last four rounds and he buckled Ramirez's knees in the eleventh but didn't realize that he had stunned Ramirez and didn't press the attack. Ramirez seems to be more of a solid champion than a future superstar to me. He has gone the 12 round distance in each of his three title fights and strikes me as a beatable fighter that has the potential to defeat anyone as well. A solid all-around fighter that doesn't do anything exceedingly well. As for Hart, I'd like to see more of him as he rallied well and continued to fight hard despite being far behind on the scorecards. In the other WBO title fight, featherweight champion Oscar Valdez (TRS # 2) won a surprisingly difficult unanimous decision over Genesis Servania to retain his championship. Valdez was dropped in round four but rebounded to floor Servania in the fifth round in an action fight that featured several toe to toe exchanges. In the end, Servania wasn't as active as you need to be if you are going to win a decision in the champion's hometown and simply needed to throw more punches than he did. I scored Valdez a 115-111 winner and Ramon and I each scored one challenge point with the win. Oscar Valdez is going to make some fun fights and his next opponent is rumored to be former WBA champ Carl Frampton, who split two entertaining bouts with current WBA titlist Leo Santa Cruz. Valdez-Frampton should be another slugfest if that bout is able to be made and I'm not sure that I would lean one way or the other right now in who I would pick to win that fight. The boxing challenge total currently is 130-118 in my favor against Ramon Malpica. Three more fights today in the challenge from England, San Antonio, and Los Angeles. I'll be covering those as well as the Ohio State noon kickoff vs UNLV. The boxing challenge continues with big fights on both Friday and Saturday nights. ESPN starts the weekend with two of Top Rank's promising young champions defending their WBO titles on the card. The main event has WBO super middleweight champion Gilberto Ramirez (#2nd in the TRS ratings) defending against undefeated mandatory challenger Jesse Hart in what should be a bruising battle. Ramirez is regarded as one of the coming stars of the game, but Hart is a big hitter and the son of former middleweight contender Cyclone Hart, who was a tremendous puncher in the 1970's. The other WBO title fight on the card features featherweight champ Oscar Valdez (#2 in the TRS ratings) against undefeated and untested Genesis Servania. I have no idea what to expect from Servania, but Valdez is another young star in the Top Rank stable. Saturday has three fights, but only one on the television with the two others available on the internet. HBO televises the talented WBA lightweight champion Jorge Linares (#1 in the TRS ratings and pictured above) defending against Great Britain's Luke Campbell. Campbell is a former Olympic gold medalist but has fought no one even close to the caliber of Linares. The fight that everyone wants to see at 135 pounds is Linares vs WBC champion (#2 in the TRS ratings) Mikey Garcia, but promotional issues might make that a fight that never happens. 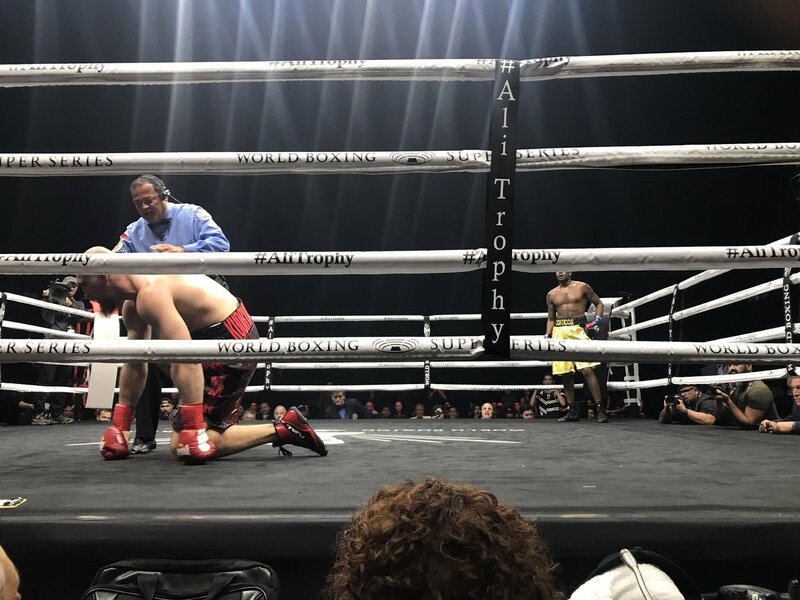 The only American site in the World Boxing Super Series takes place in San Antonio as the cruiserweight quarterfinal that is being hyped as the most exciting fight in the division's first round as fourth seed Yunier Dorticos, formerly of Cuba against Dmitry Kudryashov of Russia with two huge hitters facing off. The crowd might be sparse in Texas for this one, but those that do go could see a brief and exciting bout. The winner of this one will face the winner of IBF champion Murat Gassiev's defense against Krzysztof Wlodarczyk next month in the semi-finals. From England, the forgotten heavyweight champion- the WBO's Joseph Parker of New Zealand (4th in the TRS ratings) defending his title for the second time against mandatory challenger Hughie Fury, the cousin of former heavyweight champion Tyson Fury. This one could be interesting as Parker has just one quality win on his resume', his razor-close win over Andy Ruiz for the vacant title, while Fury doesn't have that much with his best wins over American journeymen Fred Kassi and Dominic Guinn. Fury has the size advantage so we will see what happens if the fight goes long. The PPM continues with another great weekend of football. Boise State's game is on Friday vs Virginia. I was very distressed to hear of the loss of WBA/IBF/WBO light heavyweight champion Andre Ward to the boxing world "SOG" announced his retirement from the sport. I know the tears of mine are crocodile ones, but I want to write about the career of Andre Ward in a manner that I think is a different, yet accurate manner than I've been reading from so many today. Andre Ward was a very effective fighter, won his fights clearly (with one notable exception) and without controversy (add another exception) and made Oakland, California a fight town-even if it was just for him. I'm going to give Ward some more credit for his decision today on two different points. The first is that if he didn't have the fire to compete as he says that he currently lacks.then the time is indeed right to leave the game. If you don't have the spirit to put your effort into training, it'll eventually show up in the ring and that is unfair to the paying customers that watch your fights. I'm also going to give credit to Ward for not keeping three of the four titles that he held hostage. We saw Floyd Mayweather do that on quite a few occasions and it isn't fair to boxers in that division or the fans to tolerate such nonsense. Ward didn't take an excessive amount of time (Just three months) to make this decision so the three sanctioning bodies can begin the process of filling their various championship vacancies. Full credit for doing the right thing, Andre. Andre Ward retires undefeated, wealthy and apparently (and sadly) has an HBO commentating job waiting for him while he awaits his deserved first-ballot entry into boxing's hall of fame. Now, if you are an Andre Ward supporter to the point of a closed mind-thanks for reading, stop right here and come back again sometime. Andre Ward did win the Super Six tournament and full credit to him for that. He beat several formidable opponents there and full credit to him again. However, a closer look than Dan Rafael's "Ode to Andre' shows a few flaws in the theory of Ward taking everyone on-no questions asked and it started with the Super Six. Fight one where Dan Rafael writes of Ward beating the tournament favorite Mikkel Kessler by a clear 11 round technical decision. I had Ward winning the bout and it was a clear decision (I consider myself a Kessler fan, who history will remember as a very good fighter, not a great one) No argument there. However, if Kessler was considered the favorite (there were no seedings unlike the current WBSS), why was this bout held in Oakland, the home of the underdog? Why was the fight stopped in the eleventh? Multiple cuts on Kessler caused by headbutts by the "Technically Brilliant" Andre Ward. Fight two was against the standby entry in Allan Green, who replaced the concussed Jermain Taylor. Hindsight shows that Allan Green, who received lots of hype for a spectacular 18 second KO on ShoBox of Jaidon Codrington (a non-contender), but had lost his only fight vs a top ten fighter (a lame effort in a decision loss to Edison Miranda) and would never defeat a top ten contender in his entire career. And where would this wonderful bout take place? Oakland, of course. After Ward's dull but effective decision win over Green, Ward was permitted to fight a non-tournament bout, where he pounded out another less than thrilling, but sufficient victory over the tough, but limited Sakio Bika. The site of this snoozer? Oakland once again. Now keep in mind that the Super Six was regarded to be without seeding, but yet Ward didn't have to fight in the following round because "he had secured a number one position in the opening rounds". How can you do that, if there were not any seeding? Ward would next fight Arthur Abraham, who had lost his last two tournament bouts in the semi-final. This, I cannot blame Ward for as the drawn-out tourney was having health issues with the "Super Six" as Green had been exposed as a pretender, Kessler developed eye issues ( dating back to his "unintentional headbutts" against you guessed it-Andre Ward, watch this video below and you tell me),Andre Dirrell had head trauma from his late hit against Abraham (Some things never change) and Jermain Taylor was long gone,so Ward, Abraham and Carl Froch (Glen Johnson was added to give Froch a semi-final opponent) were all that were left! BTW-I picked the Danish feed because Gus Johnson did this fight for Showtime-you can thank me later. Ward would leave Oakland for this fight, but not California as Carson, California was the site as the German-based Abraham traveled thousands of miles with Ward fighting in his home state. Abraham did buzz Ward late in the fight, but Ward clearly won another lopsided, but less than visually stunning bout and again scored no knockdowns-three for three in victories and bouts without knockdowns. Ward would win the tournament in his only bout east of the Mississippi River since 2006 with a unanimous decision over Carl Froch in Atlantic City that was a little closer on the cards than I had it, but another less than fun to watch win regardless. 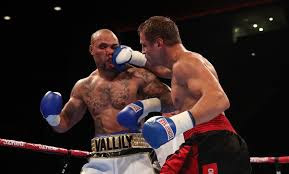 Froch rallied late on my card to make things respectable (116-112), but I never felt Ward was ever in any sort of danger of losing to the Englishman. The clear facts show that Showtime bent over backward to give Andre Ward advantage after advantage in this tournament and that was due to the shrewdness of Ward's promoter Dan Goossen, who again and again gained concessions that favored his fighter, which is what made Dan Goossen so good at what he did. Ward's repayment to Goossen? Three unsuccessful lawsuits attempting to break their management contract, so Ward could go to what he thought were greener pastures that he continued to pursue after Goossen's death in 2014 from liver cancer. Ken Hershman had been a huge believer in Ward from his days as Showtime's boxing king and when Hershman moved to HBO for their version of the same job, he signed Ward to a contract and a fight with WBC light heavyweight champion Chad Dawson. Usually, it would be the fighter from the lower weight class that rises in weight in a bout between champions, but not this time-it was Dawson dropping in weight-yet another advantage for Andre Ward negotiated by Dan Goossen. Time would tell that Dawson didn't take a good shot (he would lose his WBC title at 175 in one round to the still-reigning Adonis Stevenson in his next fight),but still Ward took full advantage of his opponent's weight loss and weak chin to stop him in ten rounds, scoring three knockdowns along the way. The September 2012 win over Dawson would be Ward's last elite win for over three years as he would fight Goossen in court, injuries (the WBC disagreed on some of those, stripping him of their title) and only one top 10 opponent in Sullivan Barrera among four opponents (Barrera, Edwin Rodriguez, Paul Smith and the immortal Alexander Brand) until he stepped into the ring against the fearsome Sergey Kovalev in November 2016. You know the story of this one, where Ward might have won the night after a brave effort after being knocked down in the second round, battling back against the power-punching Kovalev and even the Ward detractors such as myself were giving him applause for a game effort, before the surprising scorecards that surprised even Ward,with the famous look of shock on the face of the "Winner". Discerning boxing fans will almost always remember this bout as the asterisk on the Ward undefeated record, much as those same fans will mark Floyd Mayweather's first fight with Jose Luis Castillo in the same manner. Ward then stopped Kovalev in the eighth round in the rematch (which doesn't take away the decision in the first fight) with several questionable tactics including a finishing low blow that referee Tony Weeks would later apologize for not seeing as he labeled Kovalev unable to continue. I've written mostly about Ward in the ring here. I've left aside, for the most part, the inactivity, the lack of interest in fighting quality opponents unless he was given numerous competitive advantages, the reluctance to leave Oakland, the regal behavior, the insistence of being the "A side" despite a lack of strong pay per view and attendance numbers outside of Oakland and the difficulty of dealing with his demands in attempts to make any type of major fights. Was Andre Ward a great fighter? Depends on your definition of such. Did he win his fights? The record book says so. Did he fight good competition? Yes, but not as good as some would like you to believe, especially when you look past the obvious. Was he a clean fighter? Sergey Kovalev, Mikkel Kessler. Edwin Rodriguez (who Ward decisioned in a foul-filled fight) would say No and I'd be inclined to agree. Did he ever put the sport first? I'd say no, although you could say the first Kovalev is as close as he came to that as the second fight was contractually mandated. All of these things add up to be considered along with the wins and losses and though I think he'll be a deserving addition to the Boxing Hall, I lean towards making him the best of his weight classes generation, but not quite great. Sometimes greatness is about more than just an undefeated record. Thanks for reading such a long article and bearing with me. If you've been with me for much of this ride, you may remember a post from almost five years ago, where Rachel said that day was the best day of her life. I asked Rachel if she came close last Saturday at the Mid-Atlantic Nostalgia Convention outside of Baltimore and she said that it was different but just as good. Cherie and I had gone to last year's convention for the first time and even though I didn't get the main reason that I wanted to go (Robert Conrad of Wild Wild West fame) with our friend Denise and had a really good time, so we planned on returning this year-if the right guests were attending. The guests were interesting enough-Patrick Duffy of Dallas and Step by Step fame,Morgan Fairchild (canceled for a job, it's in all contracts for these events, that the guests can leave if they have an acting job) Dawn Wells (Mary Ann of Gilligan's Island) and the big interest for Rachel-Shirley Jones of the Partridge Family. The Partridge Family is Rachel's all-time favorite job and when I told her that Shirley Jones was scheduled, she was thrilled and immediately signed up for coming to this year's convention. These things are pretty fun and even though in the two times that I have been there, I've spent a grand total of zero on anything for my collection, it still has been a blast going to the convention. I was going to go and try to get Dawn Wells since Rachel getting Shirley Jones was more important than getting her for myself, but I decided to pass. 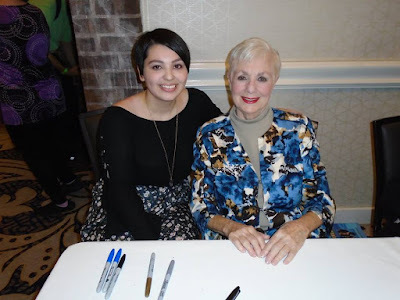 Half the fun is getting to see the stars of the past and since I took care of all of Rachel's Shirley Jones items to be signed and her picture, I decided to keep some of the money that I brought in my wallet! It's pretty rare that Rachel gets this excited about anything and the last time that I saw her like this was the day above with Adam Henrique in Hershey. She was shaking with excitement and she managed to keep things together as she chatted briefly and had the above picture taken. That lasted for a short period of time as she moved out of the line and began to cry! That's the type of thing that makes doing things for your children feel pretty good-I know Rachel's almost 21, but still, anytime that I can do something for someone that I care about, I'm always willing to try! Denise had a pretty good time too as she was able to get both stars of CHIPS to sign and take pictures with her as Erik Estrada and Larry Wilcox were both reported to be very gracious in dealing with their fans. In the two years that I have attended the convention, I haven't seen one person be really nasty to a fan, although Robert Conrad seemed to be a bit salty, I think that's just Bob Conrad! Coming from the sports world, that's far from always the case with celebrity star athletes! I was able to catch up with Mike Roseberry for a few minutes there. Mike is part of the York contingent that graphs games and I always have a good time with Mike, Lefty, and Denny when they come to the Muni or Frederick or when I hit Harrisburg. Mike must have one terrific collection, I tell you what in my best Hank Hill impersonation! After we were finished and left the convention, I decided to stop for lunch in Mt.Airy at the Greene Turtle. We have a Turtle in Hagerstown, but I've only eaten there twice. It's in an area of town that I rarely get to, but both times I was there, the food was fine. As I'm sure you know, I try to take pictures when I go out in order to give Trip Advisor reviews. The food was decent enough, but the highlight came when I took a picture of some of the jerseys hanging in the restaurant and was treated with a guy picking his nose! I'm not sure, but maybe that was the reason that Trip Advisor didn't use that one? I hurried up and got home as I had worked all night and then went to Baltimore so I had not had any sleep and still had one more stop on this evening. I was able to get a little over 2 hours of rest before setting the timer for Ohio State-Army and getting in the care for the Golovkin-Alvarez party with the Landucci's. After a one hour and change drive, I was there for the card and had a good time meeting some friends of theirs and the irrepressible Miguelito and some great food! Roast Beef (and other meats too) sandwiches with all the fixings, tons of side items, the lovely Cherie's "Magic Bars" which are generally a hit wherever they travel and the other star? My man Fred made sure to order a Key Lime pie from Cootie Brown's!! I noted how awesome that was on our trip and it was just as awesome in Pennsylvania! I wrote about the fight already, but I enjoyed my visit to Fred and Linda's home. Perhaps next time, I won't be so tired before the fights and I'll be better company! It was a long day, but a fun one and thanks to everyone that I saw and visited with! Time for part two of the TRS boxing ratings from lightweight down through flyweight and our pound for pound list! Thanks to Ramon Malpica and Vince Samano for their work with the ratings. Please keep in mind that these ratings were compiled before last weekend's fights. 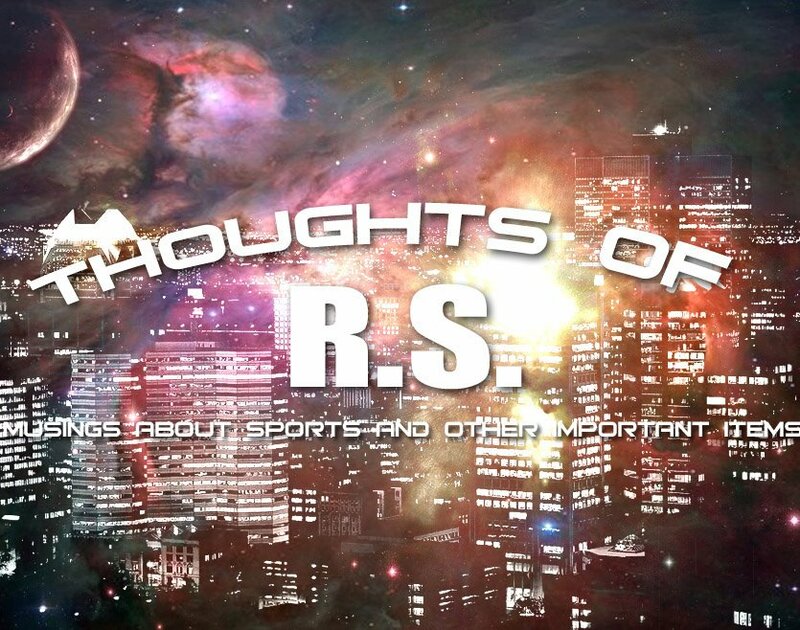 The TRS boxing ratings return. Keep in mind these ratings were turned in before last weekend, so those fights were not considered for the ratings. Thanks to Ramon Malpica and Vince Samano from the Fightheads family for their help and we may have a new voter for the next ratings, which I'm hoping for early December. Sunday was a sad day and not just because the Browns lost again. 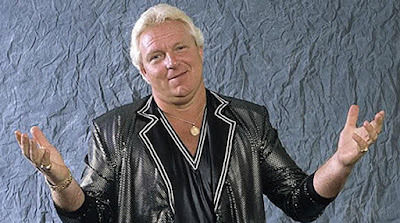 The death of Bobby "The Brain" Heenan at the age of 73 was somewhat expected as Heenan had been battling ailments for several years as throat cancer, a jaw infection and later tongue cancer had reduced the Brain to be unable to speak. Bobby Heenan had been in wrestling since the 1960's and managed about every big heel name that you could think if the wrestler in question had been through the Midwestern AWA promotion based out of Minneapolis. 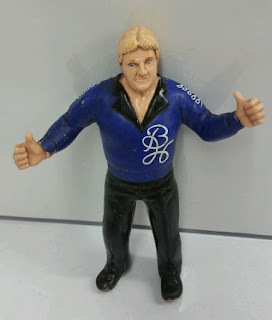 Heenan's main protege' through the years was the man that was the AWA champion through the late 70's in Nick Bockwinkel and the pair were a formidable and verbose act together. The pairing had such a regal and elite air to them and their interviews infuriated the everyday "Ham and Eggers" as Heenan often referred to the working class fans of wrestling. Bockwinkel and Heenan were the main act of the AWA,who despite being owned by Verne Gagne,didn't build the company around the owner (even though he rarely lost) and were the main reason for the success of the AWA throughout their run together. Watching their interviews today and you marvel at how the pairing get across such a simple message in the age across to get fans to come to the arena to see them get pounded. Bobby Heenan also did such a good job in "selling" how much he hated the term"Weasel". One word and Heenan would lose his mind and within in seconds,the entire arena would be chanting "Weasel". His AWA matches with the Crusher and WWF matches with the Ultimate Warrior weren't exactly technical classics,but between Heenan's crazy bumps, working the crowd, and the big ending where an "asleep" Heenan would be stuffed into a weasel suit (complete with tail) never failed to have the crowd screaming. 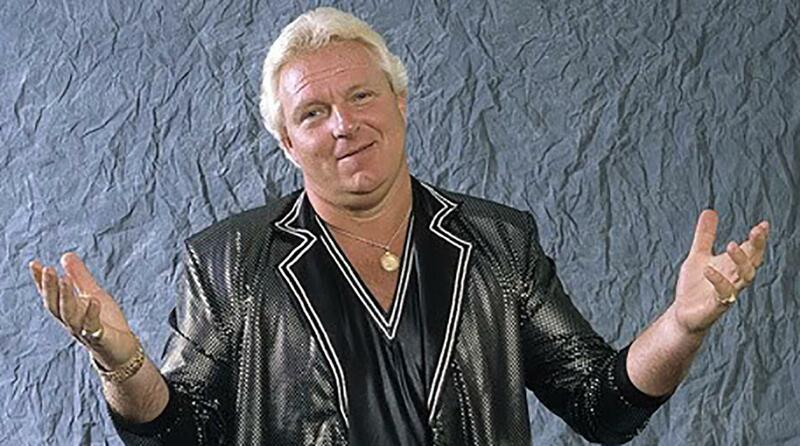 Heenan once explained how "simple" his philosophy for success was in his role. "Wrestle like a manager and manage like a wrestler" sounds easy,but few had that type ability. Then there were the quips and one liners that so many associate with Bobby Heenan. Too many to count and too good to feature just one,a Bobby Heenan interview or evening behind the microphone was filled with laughs and after a certain point in his WWF run ( and especially when he left for WCW) fans just couldn't help but laugh and like the guy. An appearance from Bobby Heenan always delivered at least a few lines that you could use on someone else or you'd remember forever. I still remember Heenan running through the sand in Atlantic City "training" for Wrestlemania as he huffed and puffed about being so quick "Come and get me Matlida,you miserable mutt" as he referred to the British Bulldogs pet that Heenan and his Islanders had stolen in another silly WWF angle. Of course,you couldn't mention Bobby Heenan to a wrestling fan and not smile about his on screen banter with Gorilla Monsoon. The Monsoon-Heenan pairing may not have been the best team ever at calling a match,but they likely were the most entertaining duo ever and the two sitting behind a table for USA Network's "Prime Time Wrestling" was the main reason to watch that show! Once I was married and had access to the NWA product,my WWF interest waned,but still on Monday nights,I watched that show just for the interaction between Gorilla Monsoon and Bobby Heenan! Heenan's work on the studio stage might have been more on the funny side,but behind the mic as a "broadcast journalist" as the Brain liked to refer to himself as,he was wonderful at elevating a wrestler in the eye of viewers or even getting across emotion beyond that of a normal wrestling match. Just watch Ric Flair's legendary Royal Rumble win and listen to Heenan,almost in anguish with every near-elimination of Flair's-the emotion is right in front of you and Heenan was able to make you feel what he was trying to emote. Sadly,currently on YouTube,the entire Rumble is currently only posted with other announcers,so defeats the purposes of linking to it. Heenan was in pain for his WWF run as his neck had been broken in Japan in the early 80's and it had never been truly fixed properly. That means all of those flips,flops and spectacular pratfalls that we all remember from the Brain were performed by a man with an injured neck. Bobby Heenan wasn't all laughs as leader of the Heenan family as he infuriated fans as the man that turned Andre the Giant "bad",was behind the great betrayal of Hulk Hogan by Paul Orndorff and with Ken Patera and John Studd cut Andre's hair and showed up with this bag of hair all over this country. Heenan was able to cross the line seamlessly from humorous to evil in the snap of his fingers and his proteges' benefited from this gift. Heenan's work in WCW wasn't quite as strong as his past,but he was still better than most of the broadcasters there,even he was going through the motions as Heenan himself had said that he was doing. Bobby Heenan spent a lot of time in retirement around the business as he did several shoot interviews with a three part series with Jim Cornette being the highlight of this run as the conversations between the two. Those were really the last interviews that Heenan could give as the throat cancer came first and then the issues that forced a jaw reconstruction that muted the Brain. Heenan still did autograph shows and wrestling conventions and was reported to be able to draw a laugh with simple expressions. Bobby Heenan was a pure entertainer and one gets the feeling that he could have entertained as a comedian,actor,talk show host (they tried with the Bobby Heenan Show before USA Network complained) and radio host just as well as being involved in professional wrestling-Heenan was that good. One more personal story on the type of hatred that Bobby Heenan could bring up. About twenty years ago,there was a gentleman that I'll leave nameless that took his wrestling seriously-very seriously and he hated Bobby Heenan with a passion. 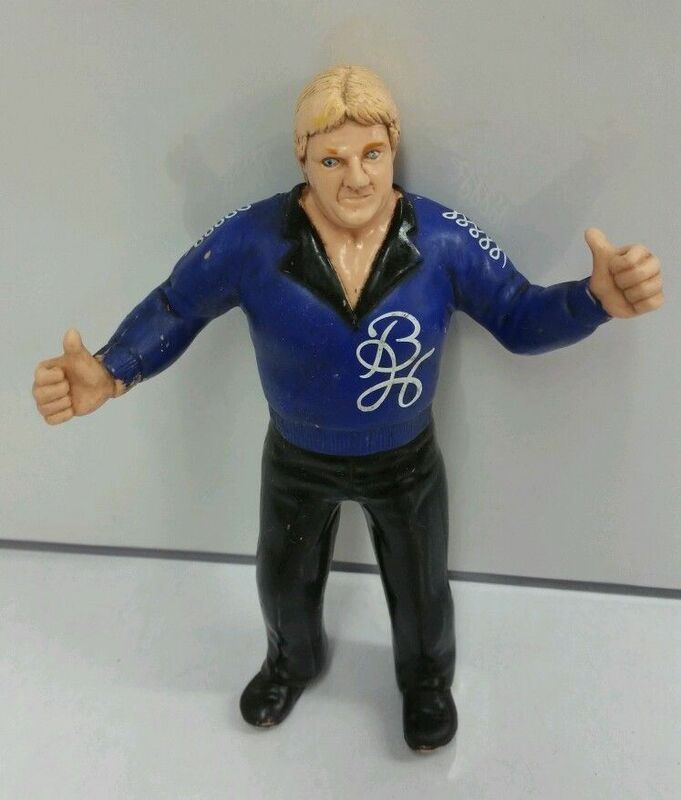 So a friend and myself took a wrestling collectible that this guy raved about and would always have in his car and replaced it with the pictured figure of Bobby Heenan. This fellow went crazy,threw Bobby Heenan as far he could throw the figure and spent quite a time cussing at us and about "that damn Bobby "the weasel" Heenan in a loud voice. The even funnier thing was that this was about the time Bobby Heenan was either just an announcer or might have already left wrestling and the animosity that he built from years before was still there! It's not often that we have the chance in any profession to say we saw the best at it. Often times,current stars shine brighter or older people are better in memory than they were in actuality and it's hard to say with certainty just who was the greatest in any particular profession or area. I'll say this and few disagree Bobby Heenan was the greatest manager that professional wrestling has ever seen. I worked on this for over a day,so some things were put aside,but still plenty to come! The Baltimore convention,Inboxes (both sports and non-sports) need cleaning and boxing ratings as well!!! The Cleveland Browns didn't look as sharp in their first road game of the season in Baltimore as they lost to the Ravens 24-10. The Browns were forced to use both of their young quarterbacks in the defeat as both starter DeShone Kizer and backup Kevin Hogan saw action. Rashard Higgins was promoted from the practice squad before the game and led the Browns with his career high seven catches for 95 yards. The only Cleveland touchdown came in the second quarter when Kevin Hogan hit David Njoku with a 23 yard touchdown pass. 1) DeShone Kizer left the game in the second quarter with a migraine headache. I get that, I've known people that suffer from them and I have no doubt about their pain, legitimacy and that they can come out of nowhere. What I am wondering about are these two issues- How did the Browns not know that this was an issue (They may have, but I was searching online during the game and came up empty) and now this raises an interesting issue for the Browns. If DeShone Kizer is the quarterback of the future, how comfortable can you be with a quarterback that could be forced to leave the game at any time? This may mean the Browns may be forced to invest more money than a usual team in a backup quarterback, should Kizer become what the Browns hope for him to be. 2) Kizer threw three interceptions and fumbled once, but I'm inclined to give him a pass, which are words that you will occasionally see this season. Young quarterbacks will make mistakes and they will do things that they shouldn't-particularly when encountering things for the first time. The key will be seeing how Kizer deals with the growing process and how does he progress?? 3) Kizer was only sacked twice after his being dumped seven times by the Steelers but was under pressure all day. It's only two games,but part of the developmental process will be seeing if Kizer will be able to get the ball out faster and if he does- can he avoid the interceptions that come with getting the ball away under duress at times? 4) Kevin Hogan was impressive on his scoring drive with several nice throws, but his interception late in the first half that resulted in the Baltimore touchdown that essentially finished the game there was a bad one. Hogan, like Kizer, is inexperienced so mistakes will happen, but something about Hogan makes me think he's going to be a popular second stringer wherever he goes and that might be many places. He reminds me a little of Doug Flutie and that would be enough to keep him collecting checks for quite a while. 5) And welcome back Rashard "Hollywood" Higgins. Longtime readers know that it was Higgins of the WR draftees last year that I liked most (after the first round) and Higgins rarely saw time on the field with just six catches in 2016. Then when Higgins was waived, I figured that he was just another player that I liked, but was wrong on when the Browns decided to claim Kasen Williams instead. Suddenly, the Browns signed Higgins to the practice squad, promoted him to the main roster and then played him over Williams (Inactive vs Baltimore) all in the span of about eight days. Higgins (for one week at least) repaid my faith with a team-leading seven catches for 95 yards and was the only Browns receiver that the Ravens seemed to have trouble covering. 6) Corey Coleman was the first rounder last season and even with some flashes of brilliance, Coleman has been a mild disappointment. 7) Dwayne Bowe, I mean Kenny Britt had another wonderful day on the field as he caught one pass for two yards, got called for a pass interference call on the other target and was tweeted about (from a non-Browns fan) for literally walking around DURING play! I see it coming-Kenny Britt could be a poison on this team as the featured free agent among the wideouts. What I don't know is this- was Kenny Britt a Hue Jackson guy or was he hoisted on him by Sashi Brown? Could this be the beginning of a rift between "football" guys and "stat" guys? and the other question is how long can the Browns tolerate a lack of effort like this from Britt? Can you 'change the culture' without cutting loose and admitting mistakes? 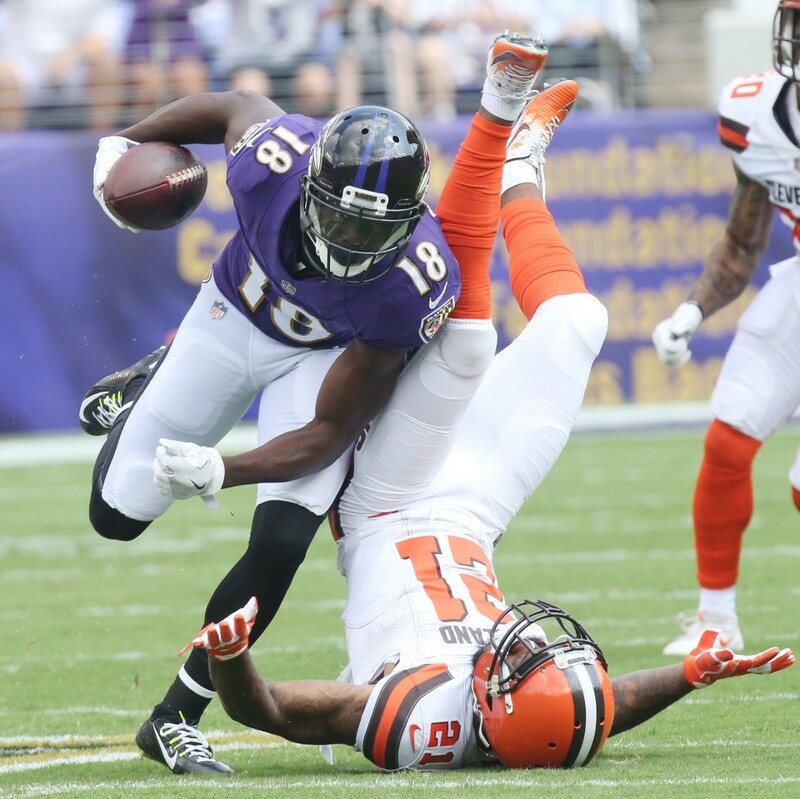 8) The receivers other than Higgins had trouble getting any type of separation from the Ravens defensive back and that had a small role in the four interceptions thrown by the Browns. They did make a few big plays, but those were by the tight ends-Seth DeValve, David Njoku and even one from the blocking tight end Randall Telfer. This is one of my major concerns as things don't seem to have improved from last season for the receivers. 9) Again, so much for the vaunted commitment to the running game as Isaiah Crowell, who was supposed to carry the load for this ground friendly offense carried just ten times. Crowell finished with 37 yards,17 coming on one rush. 10) All of this and nothing about the defense yet? Well, here goes-this defense for all the preseason buzz about impact playmakers in re-signing Jamie Collins and drafting Jabrill Peppers just doesn't make plays. Christian Kirksey did have a sack,but all often this defense looks like the Browns past-tackling downfield, giving up chunks of yardage and not making the big stop when needed. 11) It's tough to blame Jabrill Peppers too much, considering that Gregg Williams continues to play him 30 yards off the ball. I'm assuming that this is to take away the deep ball and I guess that's worked, but instead of that, the Browns give up chunks of yardage underneath and the guy that they drafted to make plays just rushes up to take tackles (five in this game). 12) It's easy to read this and feel discouraged, but I'll brush this one off as a road trip against a decent team as one of those "process" games. I do like the Browns chances in Indianapolis next week against the 0-2 Colts and not against Andrew Luck. I'm not sure that I'll pick them to win, but this is a winnable game for the Browns. 13) The commentators in this game seem to think the Ravens have this killer defense in allowing ten points in the second game. More to come this week as we have our trip to the nostalgia convention to look back on, inbox cleaning, boxing ratings and the death of Bobby "the Brain" Heenan..
Boxing Challenge:Rungvisai leaves no doubt! Browns make cuts to 53-For Now! The Return of the PPM! !